Marilyn Fralix, Vice President of Accounting Services, oversees The Webb Companies’ Accounting Department. She joined the company in 1991 as an administrative assistant to the CEO and worked her way up to her current position. 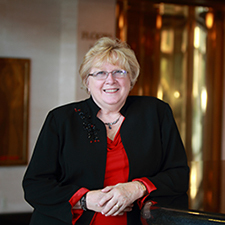 Marilyn attended Northridge College in California, Seminole Community College in Florida and Morehead State University in Kentucky, and is a member of the Society of Human Resource Management. A native of Ohio, Marilyn has lived in Kentucky for more than 25 years. She and her husband live in Lexington and have three children, six grandchildren and one great-grandchild.